See Club Projects page for more Leavenworth Lions' event photos! The Leavenworth Lions Club has met the needs of our local community and the world since 1951. It is a local chapter of Lions Club International. Working to service the community, our motto is “We Serve”. WE SERVE, by providing Highway Cleanup, Wheel Chair Ramps, Free Health Screening, Adopt-A-Family/Families for Holidays, Community Easter Egg Hunt, Sponsorship of Scout Troop and Pack #28, Sponsorship of youth baseball program, May Day baskets to local assisted living residents, and U. S. Flag Program for elementary students. WE SERVE, by funding Eye exams/glasses/hearing aids, Leader Dog Training, Diabetes Youth Camp/Research, Cascade Medical Foundation, Scholarships for High School Seniors, Special Olympics, and Local food banks. WE SERVE, where there is need. The “Den” in Lions Club Park in Leavenworth WA serves as a concession area during the events sponsored by the Leavenworth Lions Club throughout the year. Club events include the Chestnut Sales (roasting on an open fire) during the Christmas Lighting Festival weekends and the All-You-Can-Eat Community Breakfasts (May through October). We are located in the central part of Washington State. We are a proud member of Multiple District 19, Zone D-2. 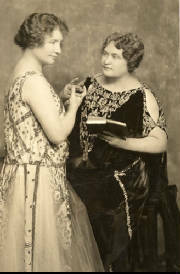 In 1925, Helen Keller challenged the Lions to become "Knights of the Blind". Since that day, Lions clubs throughout the world have been involved in helping the visually and hearing impaired. Glasses, white canes, helper dogs, eye surgeries, hearing aids and ear surgeries are constantly being donated to those in need.